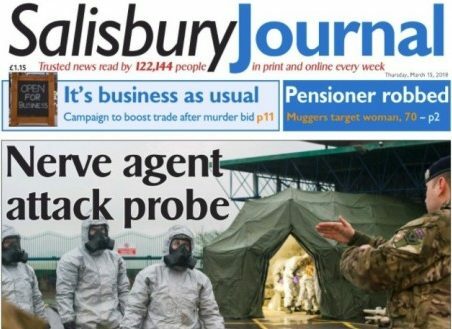 The former editor of the Salisbury Journal said local people became the paper’s “eyes on the ground” during the Novichok poisoning scandal. Joe Riddle was editor of the Newsquest-owned newspaper in March when ex Russian spy Sergei Skripal was attacked by a nerve agent that nearly claimed the lives of both him and his daughter Yulia. The UK has since named two Russian nationals as suspects in the attempted murder and has issued arrest warrants for the men. 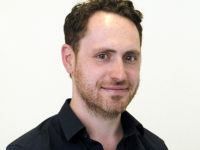 Riddle, who is now news editor at Newsquest’s Brighton Argus, told media industry event Huddle last week that the Journal’s relationship with local readers meant it continually received tip-offs. These began when the air ambulance first landed in the city centre after the Skripals were found collapsed on a bench on 4 March and continued throughout the next two weeks as police cordons were put up each time new traces of Novichok were found. “Every time a new [crime] scene went up everyone would let us know … National press didn’t have that level of access. They didn’t have the level of trust with local people that we had. Riddle said the phones in the Journal newsroom began “ringing off the hook” for about two weeks after the news broke on 5 March that it was a former Russian spy who had been poisoned. National journalists rang the newsdesk asking for information and pictures, while international news crews from as far afield as Australia wanted the local reporters to help them by, for example, filming a walkaround of Salisbury they could use. 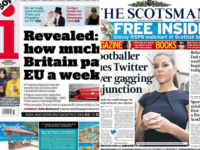 The Journal’s arrival at the scene of the incident within minutes of it beginning meant it had a number of exclusive images which could be syndicated to national press, especially the tabloids. This provided a “decent” revenue stream for Newsquest, the company’s chief executive Henry Faure Walker said. Traffic also went “off the charts” throughout the incident and its aftermath, Riddle said. Despite this, the website has not seen a massive upsurge on stories unrelated to the incident, Riddle said. “But certainly it hasn’t done any harm to the Salisbury Journal and getting the brand out there… In the long run they will see a general benefit from it, definitely,” he added. Asked whether local newsrooms were gravitating towards clickbait, Riddle said they use “really powerful” audience metrics which he said have “taken all the guesswork out of how you present stories online”. He added: “Numbers are the most important thing in terms of measuring success, but you’ve got to keep people coming back, and if you start saying ‘you’ll never guess what happens next’… you’ll lose readers. The Salisbury Journal has a print circulation of 12,904 according to ABC figures for the whole of 2017.